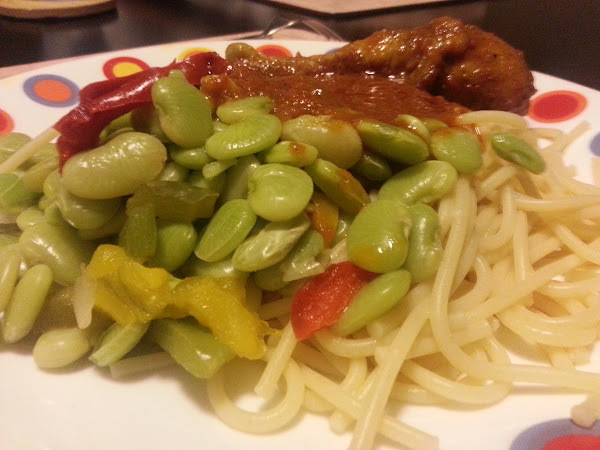 Spaghetti and Tomato sauce is a regular in these parts but the Green Lima Beans addition was a first recently. Frozen vegetables were on a half-price sale at the store so I decided to pick a few new ones I had never tried before, one of those was green Lima beans. I wasn't too sure how it would turn out, so on the day I tried it, I decided to use it as a side to a more familiar meal. 12 Comments, Add Yours and Share! Ashley Hebert and J.P. Rosenbaum are the third couple from The Bachelor series to ever walk down the aisle, and I am so happy for them! I was rooting for JP from like the final four during their season and so it was so heart-warming to know they would get married. I finally had the chance to watch their wedding which was televised last Sunday on the ABC website and it was beautiful. The gown, the preparations, everything was just looking great. Most importantly, the couple looked so happy and were smiling all through. 4 Comments, Add Yours and Share!